The first time I dined at Besos Latinos was a few years ago after my graduation ceremony. 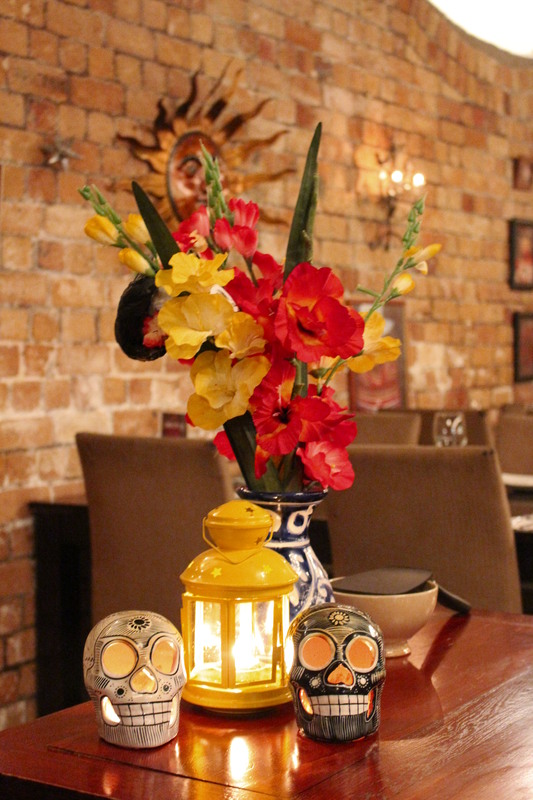 I remember it well – the bright and funky decor, the lively music, the super friendly staff, and of course, the delicious Mexican food. Plus, they surprised me with a dessert, decorated with “Congratulations on your graduation”. 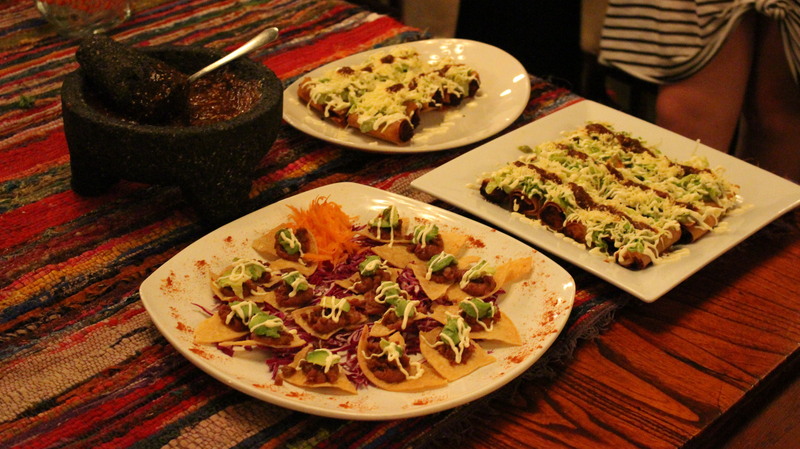 Fast forward to Monday night where I attended a Zomato foodie meetup with 19 other foodies, to learn how to recreate simple Mexican street food and cocktails at home. Owners Luis and Cecilia, head chef and maitre’d, have run Besos Latinos (translated as ‘Latin Kisses’) for almost six years. 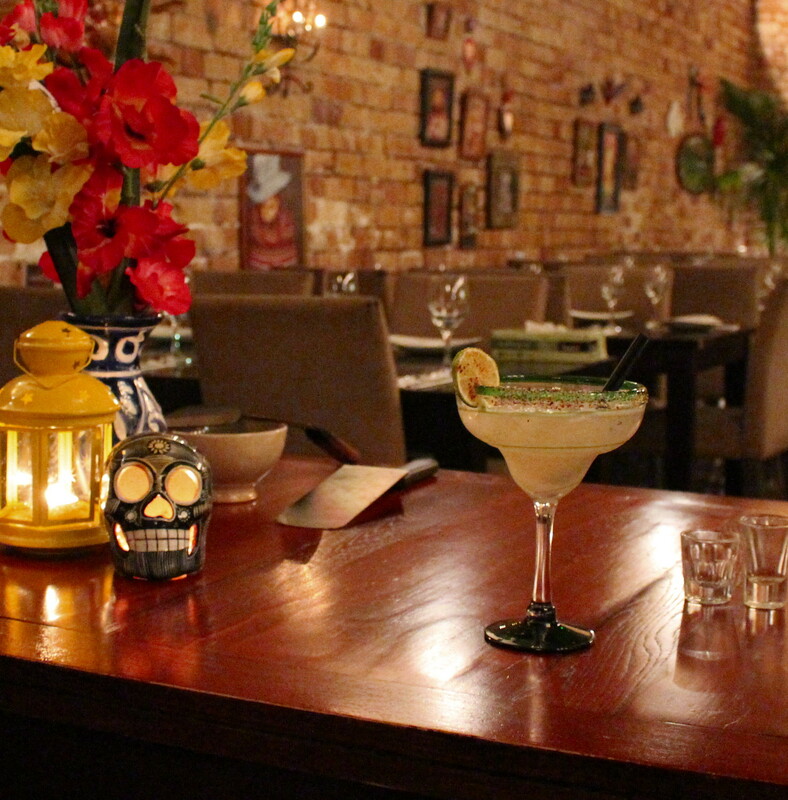 They both hail from Mexico and together, bring a wealth of knowledge of Mexican food, drink and culture. I particularly enjoyed learning about what life is like in Mexico, the food you will find on the streets and the different festivals they celebrate during the year, for example, Dia de los Muertos (Day of the Dead), where everyone gathers in the cemetery (along with food, drink and music) to talk about those that have passed and to celebrate their lives. 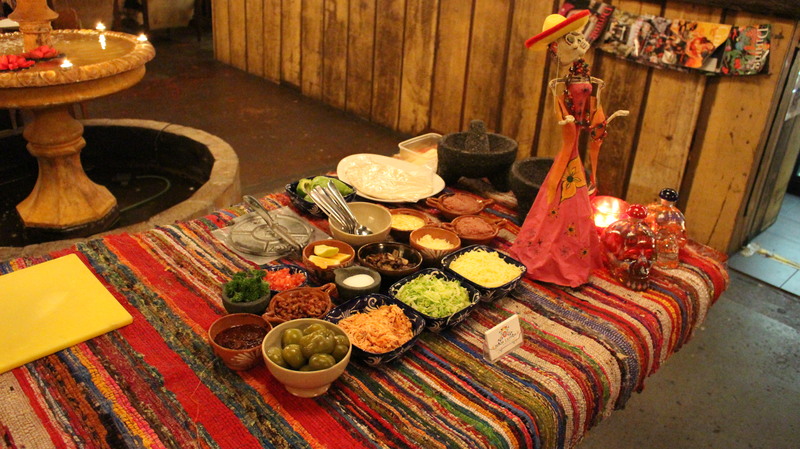 Luis and his lovely sous chef showed us how to make six different dishes – crispy flautas, tamales, tlocoyo, quesadillas and two types of tacos…. It was great to see step by step on how to prepare each dish. 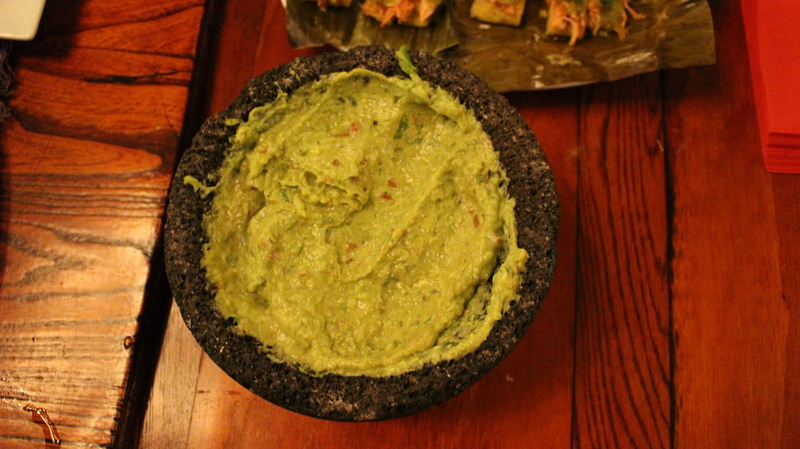 Luis made everything look so simple – from making tortillas using a presser (all of which are handmade – just a mixture of corn maize and water) to using a mortar and pestle to make the guacamole and salsa. Their guacamole is the best I have had in Auckland so far! 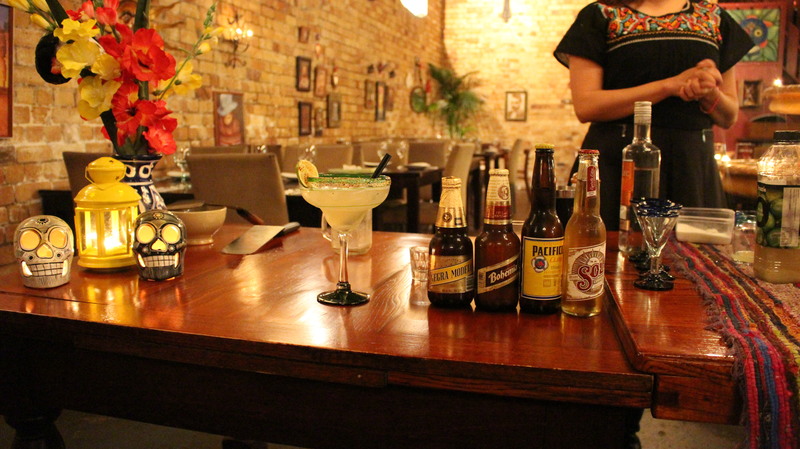 Each dish was fresh and flavoursome, just like you would find in Mexico. My favourite ingredients were the large green tomatillos (quite expensive to buy, but the tinned ones are still delicious) and the huitacoche, a fungus which grows on a corn stem – Luis, please put this on your summer menu! 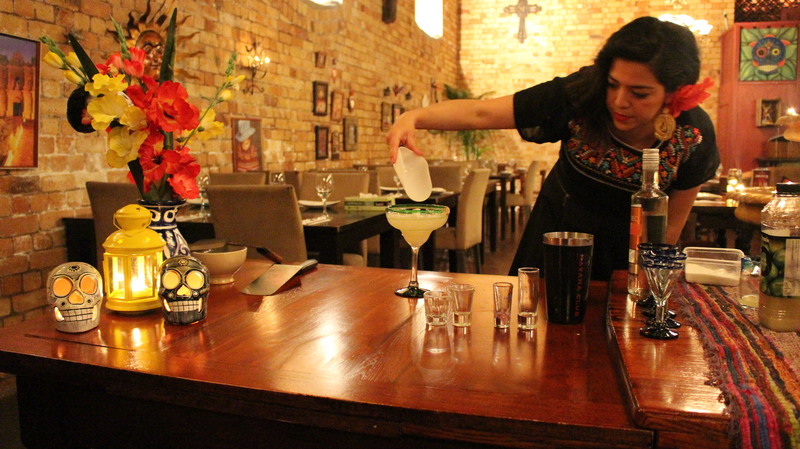 Cecilia then showed us how to make a classic margarita and also a ‘michelada’ (a cocktail with beer, Worchester sauce and chilli). Cecilia gave us great tips on the different tequilas and beers you can use, how to shake a cocktail (believe me I have not been doing it right) and how to make drinks looks presentable. Cecilia said presentation is key and is the most important aspect, well aside from the taste! 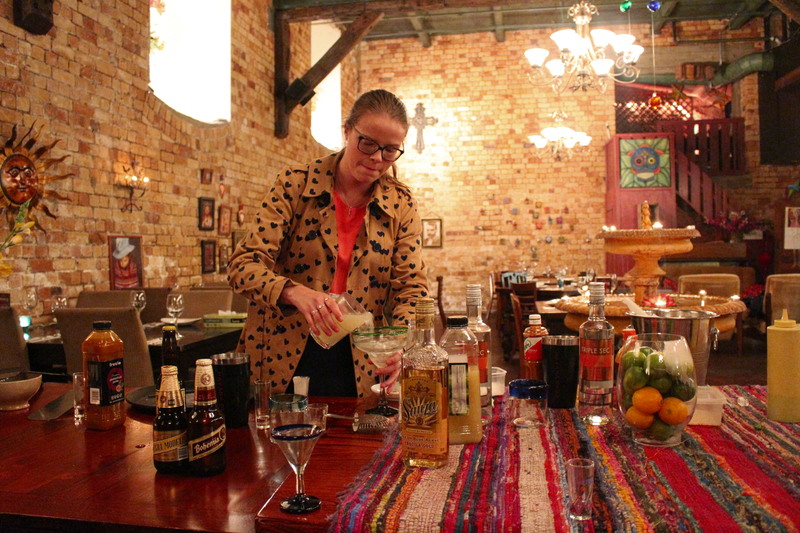 Overall, I had a fabulous night, and learnt a great deal about Mexican street food, culture and I now have two new cocktail recipes to try out at home! A HUGE thanks to Sarah and Jasmine for organising the event and to Luis and Cecilia for their generous hospitality. Would highly recommend Besos Latinos – they really are the whole package!!! This post is part of the monthly link up party Our Growing Edge. This event aims to connect food bloggers and inspire us to try new things. This month is hosted by Hannah at Love The Little Bakery. You look super serious in the photo like some kind of kooky scientist mixologist in your glasses heart patterned lab coat. Too cute! Thanks! I was so nervous, but instead my look came out very serious like you say haha!